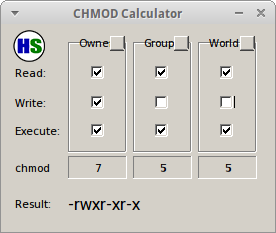 CHMOD Calculator is a really, really simple tool that lets you check a few boxes and tells you how what number to use to chmod a file on a *nix based system for access. There’s not really much more to say about this. If you are looking for this tool, then it will help you. If you have no idea what it does, then you probably do not need it. CHMOD Calculator requires the Microsoft .NET 2.0 Framework or Wine with Mono. 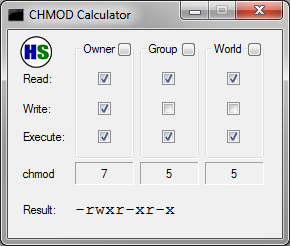 What do you think about CHMOD Calculator? Rate it!